Made in the USA. Founded in 1866 and now the oldest wrought iron company operating in the US, the master craftsmen at Woodard have constantly expanded and improved upon their high-quality furniture. 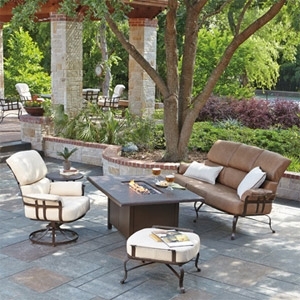 Woodard takes pride in designing and producing the best in casual outdoor furniture using only the finest materials. From classic and stylish hand-crafted wrought iron pieces to beautiful furniture from cast aluminum, tubular aluminum and all-seasons wicker, every Woodard piece is created using the fine craftsmanship the company was founded on.